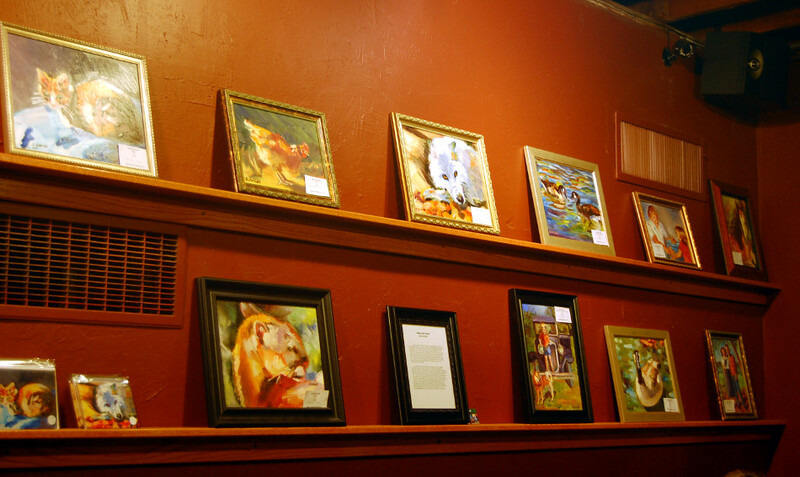 Photo of Jodie Schmidt’s oil paintings at the Frederick Coffee Company. I (Jodie) am showing my artwork at the Frederick Coffee Company at 100 N East St., Frederick, MD 21701. They will be up from February 1st to the 28th. They have coffee, food and live music, too. All of my oil paintings are for sale, unless otherwise marked. I also have art cards if the paintings are not in your budget. They are going for $12 a pack. For directions, menu or calendar of music events, go to their website, www.fredcoffeeco.com.